The Easy 32 by Peter Snell is an awesome and practical coastal cruiser and "Tisaway" is a really great example. 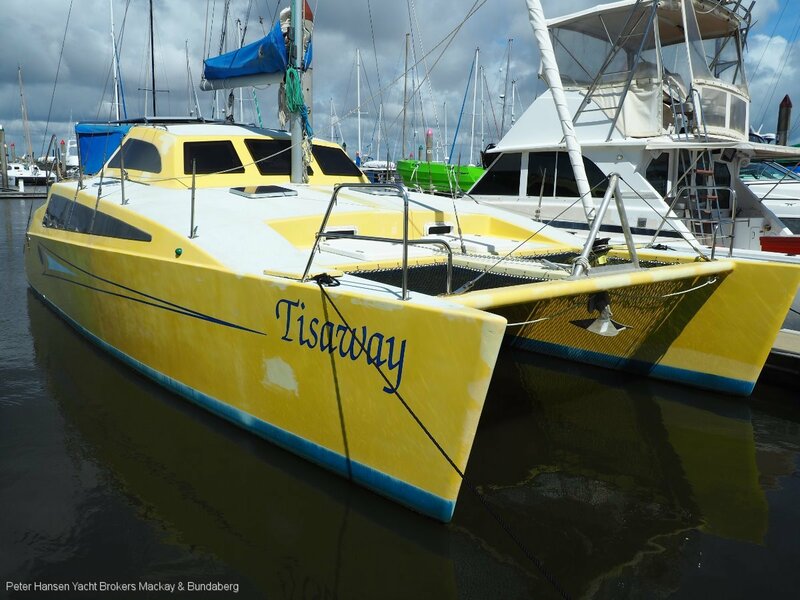 She is in very good condition and is well equipped for coastal sailing. A few cosmetic improvements would transform this roomy little Cat from great to outstanding. Two high thrust Yamaha outboard engines, solar panels, GPS and Tiller Pilot. Please call for full inventory.